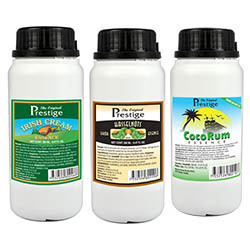 Prestige Liqueur essence in 280 ml bottle. Sufficient to produce 14 bottles of 75 cl (10.5 liters) Better price compared to buying small 20 ml bottles. Comes with measuring cup for 75 cl bottles.